Kathy West, who recently sent us some stunning photos of Macaques at the California National Primate Research Center (CNPRC), has now provided us with some pictures from the University of Texas, MD Anderson Center. Images are am important way of allowing people to understand more about how research animals are housed and cared for. We have regularly discussed how chimpanzees are kept at research facilities, addressing many of the misunderstandings surrounding the topic. With recent scientific advances such as the publication of the initial sequence of the chimpanzee genome, it has been determined with certainty that chimpanzees share more than 98% of our DNA and almost all of our genes. The CBRR is one of only four NCRR-supported centers with the capability to conduct biomedical research in this species. 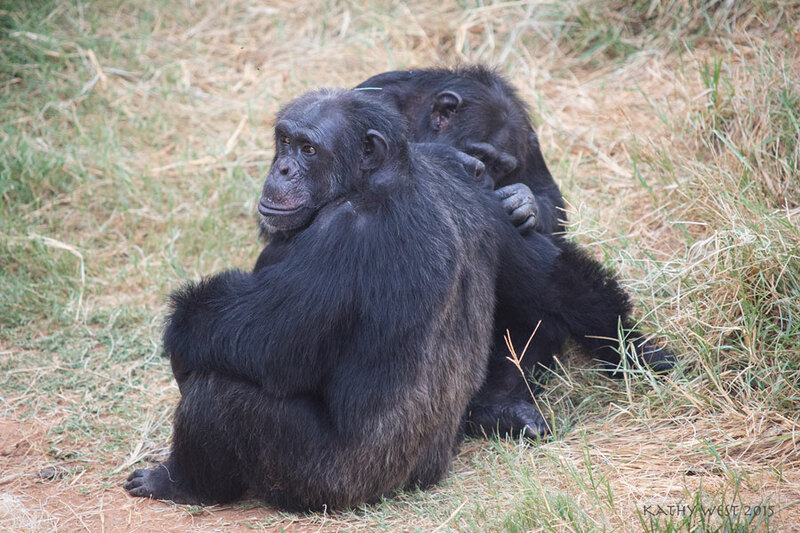 Over the past 30 years, the CBRR has developed the highly specialized housing facilities, laboratories, management techniques and staff essential for conducting research with chimpanzees. Chimpanzees by KathyWest is licensed under a Creative Commons Attribution-NonCommercial-ShareAlike 4.0 International License. Permissions beyond the scope of this license may be available at kathyweststudios@gmail.com. Also, consider linking to Speaking of Research so that we can continue to meet our goal of providing accurate information about animal research to the public. 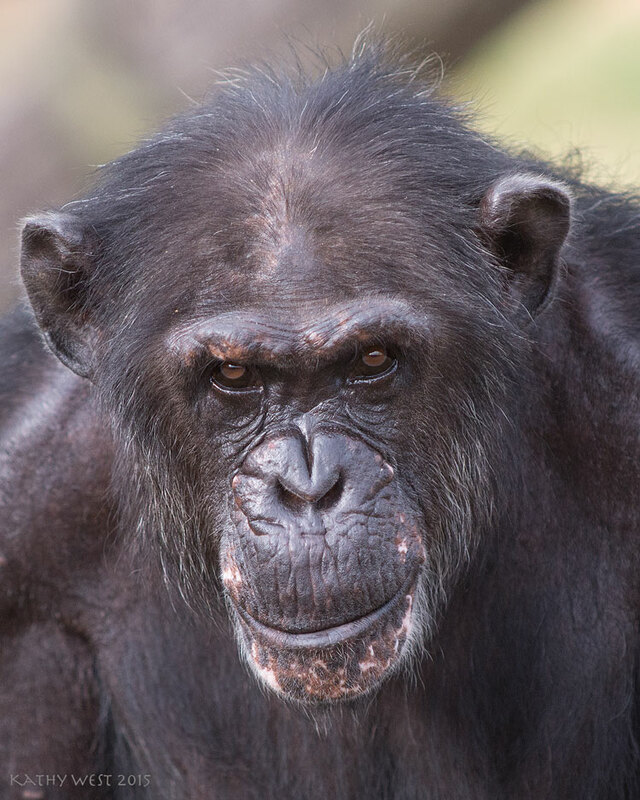 As we mentioned in a post in February, an estimated 2,000 chimpanzees live in the US. 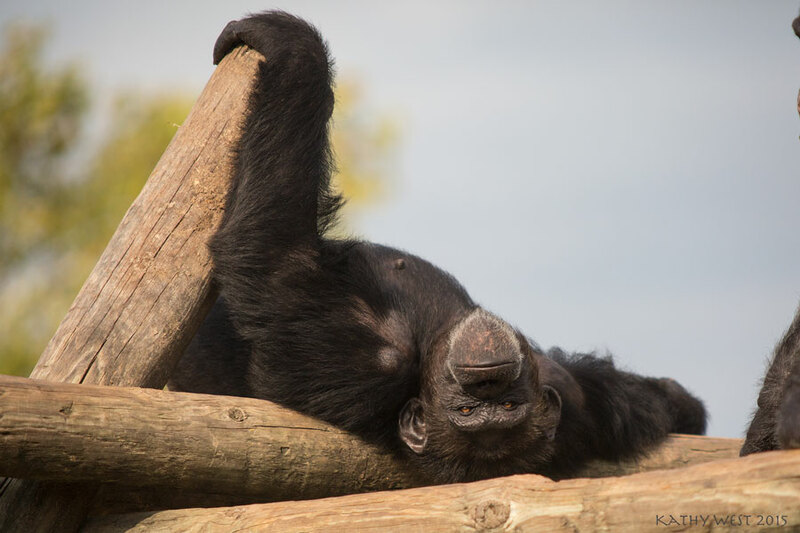 According to Chimp Care, a census project from Lincoln Park Zoo, there are 1,720 chimpanzees in the US living in zoos, sanctuaries, research facilities, and other settings. The care for roughly half of the chimpanzees in the US, including most of the 206 chimpanzees retired to the federal sanctuary (Chimp Haven), is provided in large measure by federal public funds. 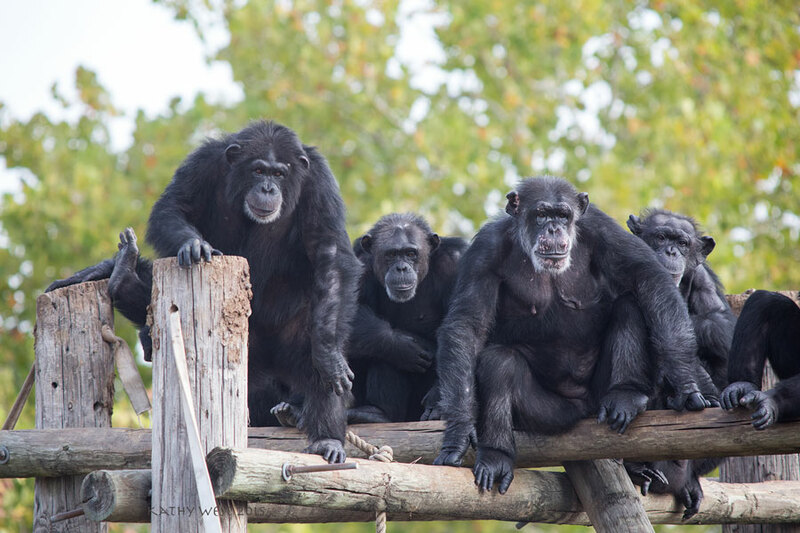 According to Chimp Care, US research facilities house 625 chimpanzees, while a research reserve houses 172. Private sanctuaries house roughly one fifth of US chimpanzees (N=318). 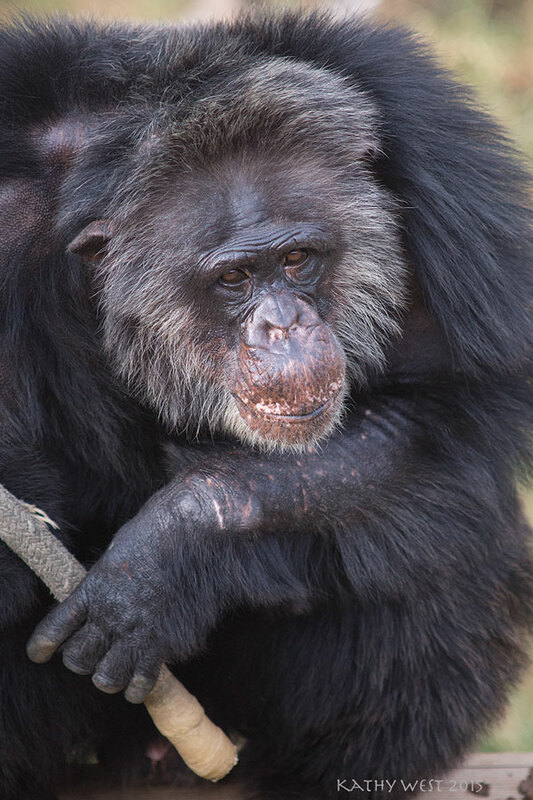 Nearly one-quarter of the chimpanzees in the US live in zoos, both those accredited by a non-public agency, the American Zoological Association, (262) and facilities designated as unaccredited in Chimp Care’s data (174). Chimpanzees in the US are also kept in entertainment venues (14). In the US, the federal regulations, oversight, and public transparency for different types of facilities vary (read more here). All research facilities and zoos must be registered or licensed by the USDA and are subject to the federal Animal Welfare Act and USDA oversight. Sanctuaries may also be licensed by the USDA. Chimpanzees can be held by private breeders or by private owners who regard them as pets (51). Such private ownership of primates is opposed by leading scientific organizations including the American Society of Primatologists. Previous Previous post: Nobel Prize 2015 – Protecting People against Parasites!